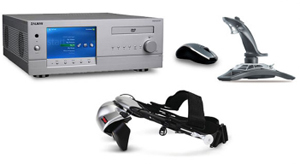 Unlike any other VRMC product, the pain distraction application is uniquely created from the imagination of the mind. The virtual environments for this application avoid the realms of reality, instead of simulating it. 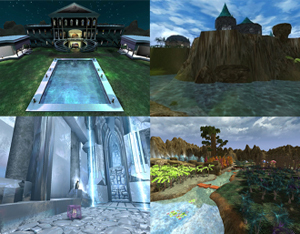 Enchanted Forest, Dream Castle, Icy Cool World, and Vista View are currently the virtual environments created for pain distraction. In these worlds, users can roam around at their own leisure, exploring the art-filled four-story castle, witnessing the vibrantly colored tiger-deer, interacting with friendly penguins, and more. Additionally, those who are physically disabled can now scale the icy mountains or take a dip in a swimming pool. All this comes with the added benefit of pain distraction, whether it is at the dentist or doctor’s office. 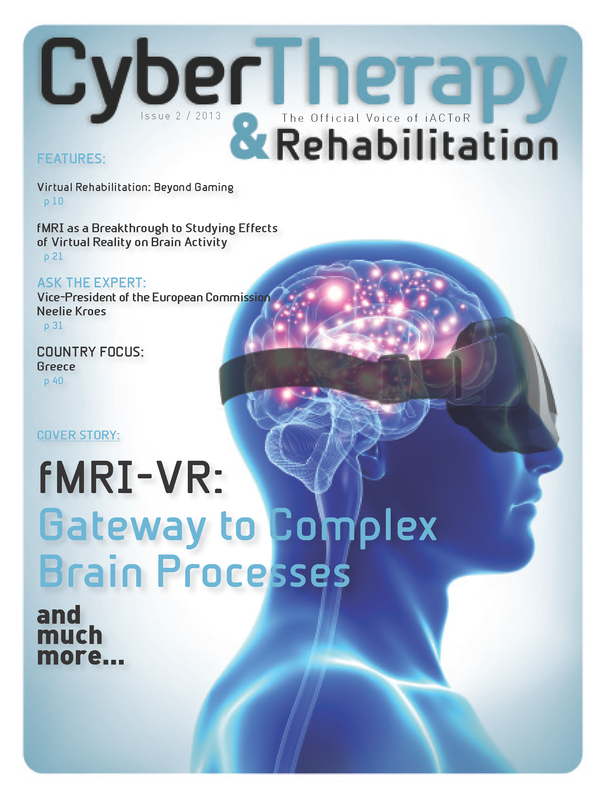 Using a head mounted display (HMD) provides the patient with an immersive experience where the movement of his/her head directly correlates to what the user sees. Besides the four existing virtual environments, VRMC has created three distinctively different interactive environments: Wind City, Oceaquatic City, and Shell Island. These worlds utilize many of the user’s senses and encourage him/her to become immersed in the world he/she is experiencing. In the end, this program does what reality itself cannot, and that is to make fantasies come to life.